LEDMyplace’s industrial, commercial and residential line of products includes 300W LED Flood Light available in Black finish. 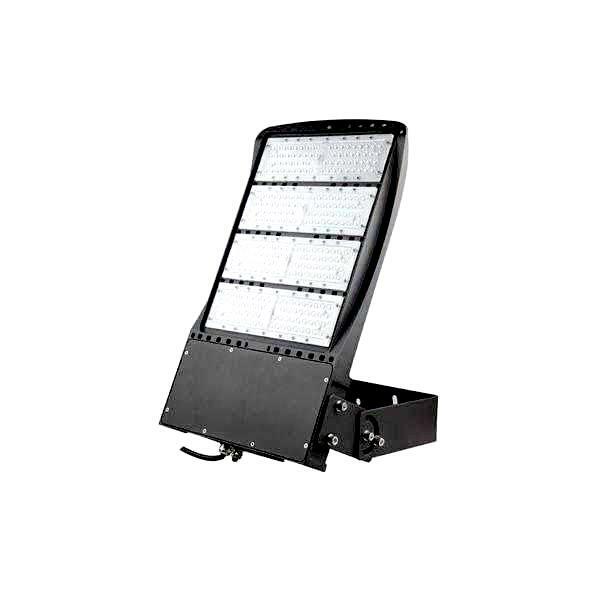 Using the latest solid-state lighting technology, this luminaire can be used both as outdoor and an indoor LED flood light depending on the lumen output (40,521 lumens), the beam angle (120 degrees), the color temperature (5700K) and the CRI. Our LED Floodlight is superior to spotlight, being broad-beamed and a high-intensity light. 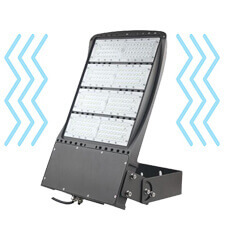 This fixture is UL and DLC approved product and can easily replace up to 1000W of any metal-halide lighting fixture. 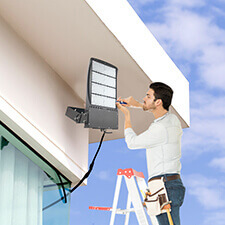 With the capability of being installed anywhere as an outdoor lighting fixture, an LED flood light provides you with more than one mounting option such as flood mounting or yolk mounting and knuckle mounting. 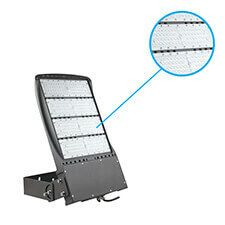 The LED flood light can be installed in an upward or downward manner to achieve different beam angles. Since the mounting is easy and quick, in order to change the beam angle a user simply needs to loosen the thumb screw, move onto the desired position and then retighten the screw. 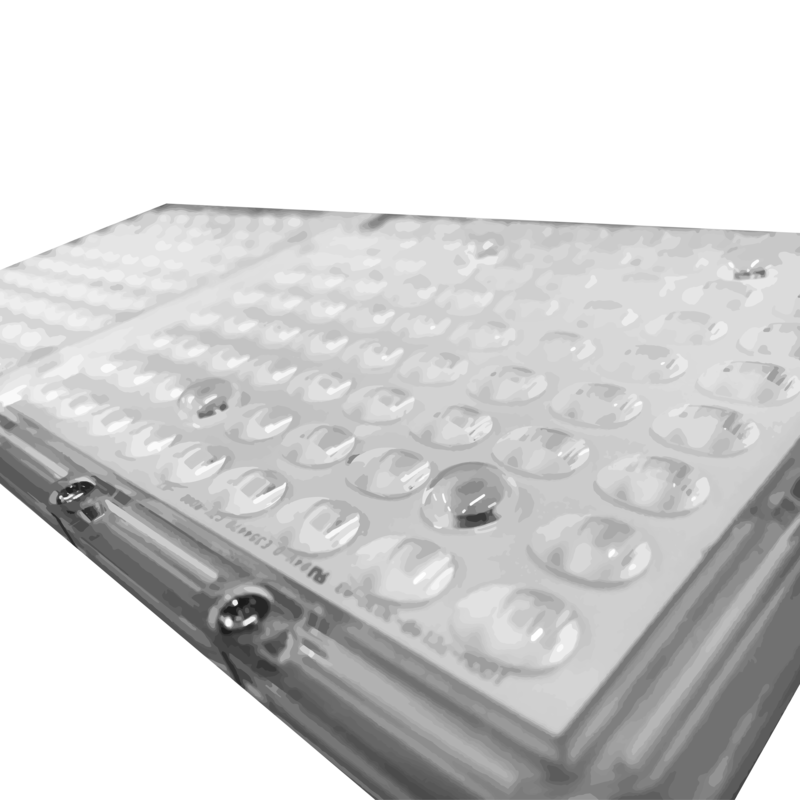 Polycarbonate as an outer coating is used for our LED flood light to achieve an optimal lighting performance and durability. The polycarbonate imparts dimensional stability, resistance to withstand external heat and any other impact. 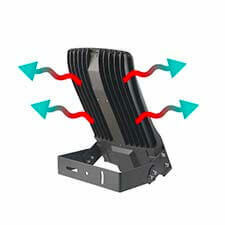 The heat sink inside the LED flood light is made up of aluminum which being a good conductor heat can dissipate heat effectively and efficiently. 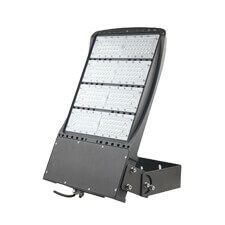 Our LED flood light has an ultra wide angle -- 120 degrees for flood illumination of huge areas and wide spaces. This beam angle is not for the purpose of highlighting any specific object, rather it is for -- general area/sight lighting. 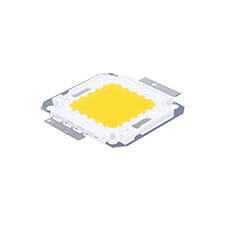 We ensure the highest quality of our products by having premium LED chips from Epistar. The chip is so embedded inside our LED flush mount lighting fixture in such a way that highest operational efficiency is ensured. 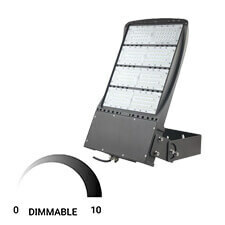 The LED Flood Light brings you extra energy-savings by being dimmable. It can be dimmed from 0-10V, 0 being the 'maximum dimming' level and 10 the "lowest level of dimming". 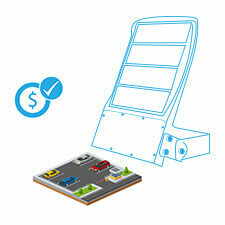 Our floodlight is compatible with most standard dimmers available in the market. 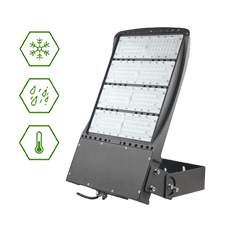 The LED flood light comes with a CRI of 70 enabling objects and surfaces to look realistic and unartificial up to the extent of 70% in comparison to an ideal or natural light source. The LED flood light needs very low maintenance because of the technology that it uses and a low lumen depreciation it undergoes until the end of its lifespan. Hence, a low maintenance cost. 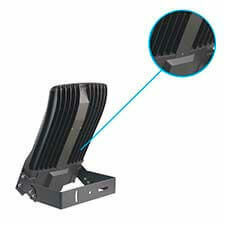 The vibration testing is done to conduct dynamic measurements on a luminaire. For this, the luminaire under the test is exposed to a certain vibration level and tested as specified by national and international standards. 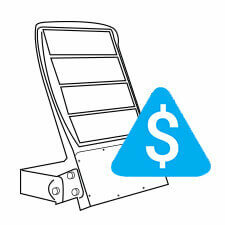 As DLC approved a product, an LED flood light makes you eligible for a rebate.